Unfortunately, native fish have not done as well adapting to the influences of humans on their environment. Habitat loss and alteration, and the introduction of non-native fish species, have caused sharp declines in many native fish populations. 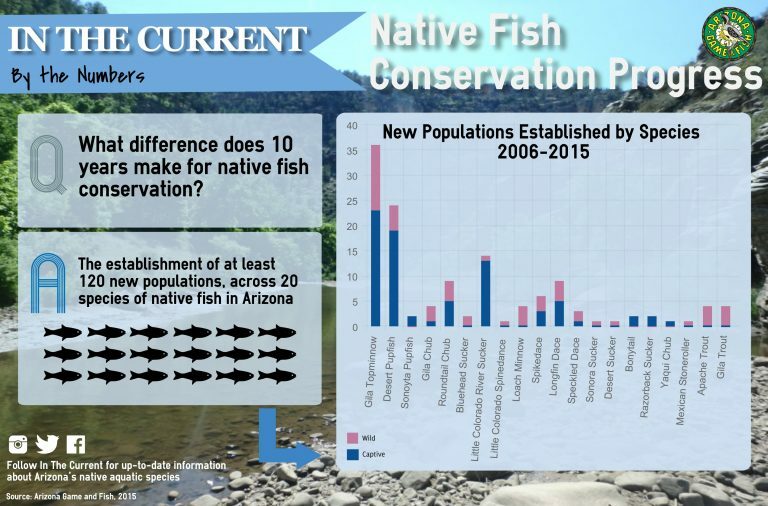 Out of the 36 fish species native to Arizona, one species is already extinct; 34 have been identified as Species of Greatest Conservation Need in Arizona; and, 22 have been federally listed as endangered or threatened. A special and irreplaceable part of Arizona could easily disappear if more native fish species are lost.